Charging station for electric cars in Glasgow, Scotland. With new models aimed at the mass market going on sale, Americans will be hearing a lot more about electric cars. Two long-range electric cars meant for the masses are hitting the market - the Tesla Model 3 and the Chevrolet Bolt. With India, France and Britain promising to ban gas-powered cars, electric cars seem to have a bright future. Prices are down, and electric charging has become more widely accessible. From Southern California, NPR's Sonari Glinton reports on what to look for if you're thinking about going electric. SONARI GLINTON, BYLINE: Over the last few years, dozens of my colleagues have asked me questions about cars. But recently here at NPR West in Culver City, we got two electric car chargers. And so when my colleague Melissa Kuypers said she was interested in buying an electric vehicle, I thought, perfect guinea pig for a little test. MELISSA KUYPERS, BYLINE: I mean, I definitely have commuter guilt. I drive by myself 13 miles each way. I don't care about performance. I sit in a lot of traffic. And so - I also live in a climate where it doesn't snow. I can pretty much rely on what the weather's going to be. I just felt like I was a good candidate for it, and so why would I not? GLINTON: Now, Melissa is the mother of a toddler. She owns a house. She has a garage and a place to charge it. And this would be her family's second vehicle. And I wanted someone who I could check in with on a regular basis. So she test drove six electric cars. Now, I'm going to use her experience and a couple of stories to help you understand the world of electric cars. To help Melissa pick a car, we're going to talk to some experts. MICAH MUZIO: I'm Micah Muzio, and I work at Kelley Blue Book. GLINTON: Now, the three of us piled into the new Chevrolet Bolt. It's the long-range, all-electric car. It's in the same category as Tesla's Model 3. MUZIO: Yeah. As you get in here, the first thing I did is pushed the power button. It's not really an ignition. And you hear nothing except the smooth sounds of NPR coming on the radio. And that's one of the big changes that you have to get used to, is that there's no firing up the engine. You just kind of get in, and then you quietly leave. GLINTON: I want to add that the quiet can be an issue for pedestrians who don't hear the car and for drivers who sometimes leave them on accidentally. MUZIO: So, yeah, let's get moving here. And electric motors operate very differently than the old internal combustion engine. GLINTON: Can you click through the ways in which they're so different? MUZIO: Well, one, electric motors are much simpler. They basically have one moving part. Electric motors are head and shoulders above the normal internal combustion engine. As I creep out onto the road, I'm just going to kind of floor it. I'm going to be very presumptuous and floor it. KUYPERS: Do you want to put it on sport mode? MUZIO: Yes. I always want to put it on sport mode. MUZIO: That instant power means they're actually kind of fun. GLINTON: One of the ways in which electric cars are different is, well, you have to plug them in. Before we went out on our drive, we spoke to Joel Levin with Plug In America in NPR's parking lot. JOEL LEVIN: We're looking at what's called a Level 2 charger. It's 220 volts, the same power basically as you use for plugging in, like, your dryer at home or, like, heavy-duty appliances. And this is basically - it's got a plug and a long cord attached to it. It's essentially just a very fancy 220 outlet that has some safety equipment in it so that it doesn't overheat. GLINTON: An interesting note - it's these chargers that have encouraged many people to buy EVs. Homeowners, landlords and businesses get tax breaks for installing chargers. And consumers get even larger federal and state tax credits for buying the cars. With the standard charger, it takes about eight full hours for a charge, and super fast charging stations are popping up around the country where you can get it done in about a half an hour. Back in the car, Melissa has another pressing question for Micah Muzio from Kelley Blue Book. KUYPERS: Like, is only the Chevy dealer going to be able to fix this car? MUZIO: The good thing is that from a - the motor side of the equation, they're not going to need repairs any time soon 'cause it's a very simple system. And it's going to be like that in any electric car. The bigger question is the batteries. And the batteries that you find in any electric car now have super, super long warranties. GLINTON: When electric cars were introduced, Muzio says range was a big issue. It's become less of one now. MUZIO: We've got cost-effective cars that have more than enough range for people's normal activities. The electric car's no longer an outlier. EPA says it'll top out at 238. Yeah, like, for just driving around Los Angeles, this is all the range you need. GLINTON: Two thirty-eight is pretty good, especially when you figure my gas car gets a range of about 220. After this and other test drives, Melissa became convinced that an EV was indeed right for her. 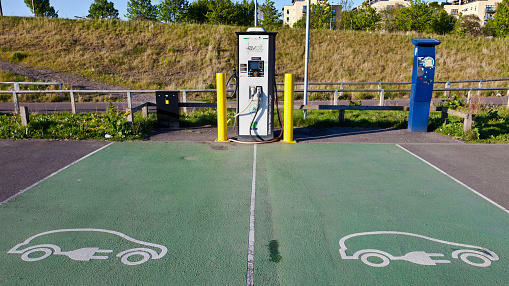 If other consumers are also convinced, the question becomes, how do cities and power companies handle the electric car? Sonari Glinton, NPR News, Culver City. (SOUNDBITE OF M83 SONG, "MIDNIGHT CITY") Transcript provided by NPR, Copyright NPR.